With brand new packaging, fresh shades and the same best-loved formula, BECCA’s Ultimate Coverage 24 Hour Foundation has got you covered all day, every day. Virtually weightless, the formula has been painstakingly developed to strike the perfect balance between coverage and breathability; with 21 percent pure pigment and 22 percent water, this melts into skin and blends seamlessly for a natural, airbrushed effect. Available in a spectrum of 24 shades, the creamy fluid is suitable for all skin types (even oily and congested) with light and skin tone-correcting pigments to match and flatter your natural colouring perfectly. 24 shades, 24-hour coverage: BECCA’s Ultimate Coverage Foundation is better than ever with brand new packaging, fresh shades and the same best-loved, all-day (and all-night!) formula. 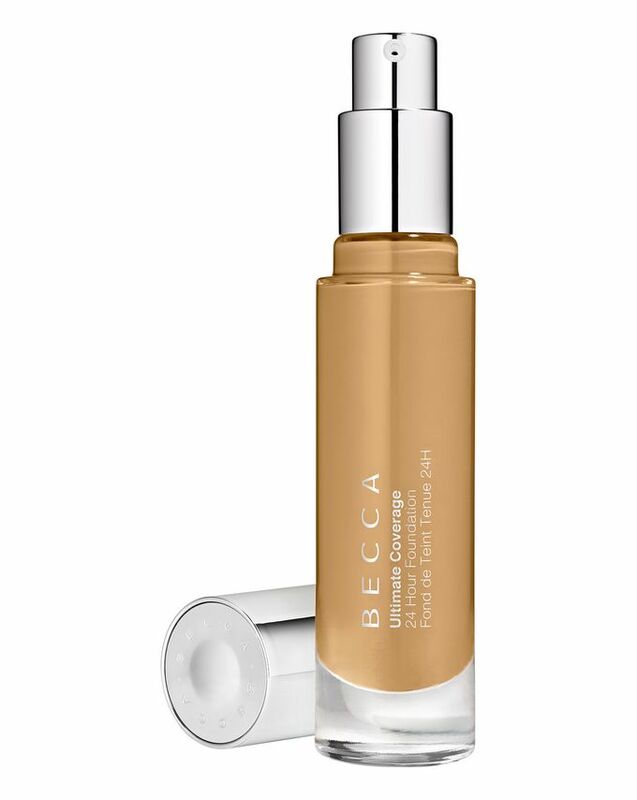 Providing full coverage, the buildable liquid formula provides virtually undetectable, utterly weightless skin enhancement – eliminating flaws for a beautifully believable, ‘your skin but better’ effect. Offering water-resistant wear, Ultimate Coverage 24 Hour Foundation will stay put throughout all your adventures – and it comes in 24 versatile shades to match and flatter your natural skin tone. From ‘Linen’ to ‘Chestnut’ via ‘Olive’, you’ll be sure to find your perfect hue. (For full shade descriptions see ‘How To Use’). For seamless application, apply one pump to a well-hydrated face after moisturizer or primer is fully absorbed, and use The One Perfecting Brush or a sponge to blend. I recently bought this foundation to add to my kit! I’m delighted with how it looked on the clients skin, flawlessly smooth coverage in a beautiful golden shade! (I purchased the shade Buttercup) This foundation gives you an even skin tone and lasts all day! I found it works best on the skin by applying it with either a kabuki style brush or a sponge! I had high hopes for this, as I love a good full coverage foundation that lasts all day. Like mentioned, it does not dry down at all, no matter how little I apply. When I set it (as I normally do), it looks cakey and dry. Also does not keep oils at bay for longer than 1 hour. Good coverage and good shade are all that’s good about it. I had really high expectations about this foundation, but it ended up being waaay too thick and cakey. It does have good coverage though, so I like to use it as a concealer or to mix with lightweight foundations to add coverage. I bought the lightest shade linen and whilst it looked good after I applied it, a few hours later it looked orange on me and had separated really badly. I made sure not to use too much but still had this problem. I'd probably wear it on a night out if I could find a way to control the oil but it definitely wasn't suitable for everyday wear for me. Smashbox's Studio Skin in 0.1 is much better for me. I was very excited to try this one out since I had heard a lot of positive reviews. The shade fit me perfectly and I was really happy with the pigment - covered up all of my redness. However, the foundation drys up quick and though with patient buffing you will get a smooth finish, it is still a tad cakey. The final nail though was that it didn’t even come close to 24h wear, I needed a touch up after 3h. Now I’ve tried it with several different primers, setting powders and spray - nothing helped. So all in all, a disappointment and won’t buy again. I’ve got combination skin, prone to impurities. This foundation gives me flawless skin. My tip is to use a makeup sponge (I use real techniques one £5) and stays on much better. I used to use a foundation brush from real techniques and it would crack around my nose. With the sponge, it doesn’t crack at all. It does also oxidise so a shade lighter is recommended. I love it. So today I wore this foundation for like the fourth time ever and I’ve always thought it looked great but today I had to cycle 6miles while in the middle of my makeup routine (only eyes and foundation not set by powder on). It stayed on so well and looked absolutely amazing. I also ran out of concealer and this foundation covered my acne so well. I have dry skin and it looks amazing all day long. 5/5 Would recommend. This foundation is FULL coverage. It does have more colours that are yellow undertone so you got to make sure you buy the right colour for your skin. Only apply it with a damp beauty blender full coverage foundation dries a lot quicker this one dies super fast. Only need small amounts for amazing coverage. It does last all day you need to set the foundation right with good powders. Linen? Not really! Colour is literally yellow, for medium not fair skin. dry, heavy and textured. A 100% fail. It made my skin gray. I have a oily skin and my skin was dry.This foundation is not for me at all. I'm very disappointed about this brand. The only good point it the ultimate coverage. I&#8217;m in love with this product!!!!! In my previous order I selected a sample tester of this foundation, and I immediately picked my colour which is Driftwood and I am IN LOVE with this foundation!!! It is made for medium skin as it says, absolutely great coverage and easy to use!!! I would recommend this product to anyone who wants full coverage and at the same time lighter. I really like the color (picked the shade Vanilla, thankfully it fits my complexion, maybe it's still a tiny bit too dark for my skin tone but I couldn't swatch it so it's no big deal). For me personally the consistency is a little bit too thick (I like it more liquid-y) but it spreads quite easily and blends beautifully into my skin, flawless finish and I personally didn't find it cakey. All in all very good deal, pretty happy with it. This foundation is horrendous. It doesn’t dry down, it’s constantly tacky throughout the day - I guess this is why they label it ‘24 hrs’ but it just separates and settles into pores. Bearing in mind I have dry skin and this somehow gives me the appearance of an oily complexion. I’ve even spent more money on primers, new brushes etc just to try and get it to work but nothing! Disappointed. Bought this expecting very full coverage as my skin is problematic. The foundation sinks it to all pores and can’t be applied with a damp sponge as all coverage is taken away. Even with a brush it’s a weird finish and has a very strong smell. One of the worst foundations I've ever tried. I bought it after NikkieTutorials hyped it up so much but I don't see why! The coverage just isn't there, the foundation doesn't dry down it just stays sticky and wet. I ended up giving it to my little sister, what a waste! This is by far my most favourite foundation I have ever tried! I have Oily - combination skin. 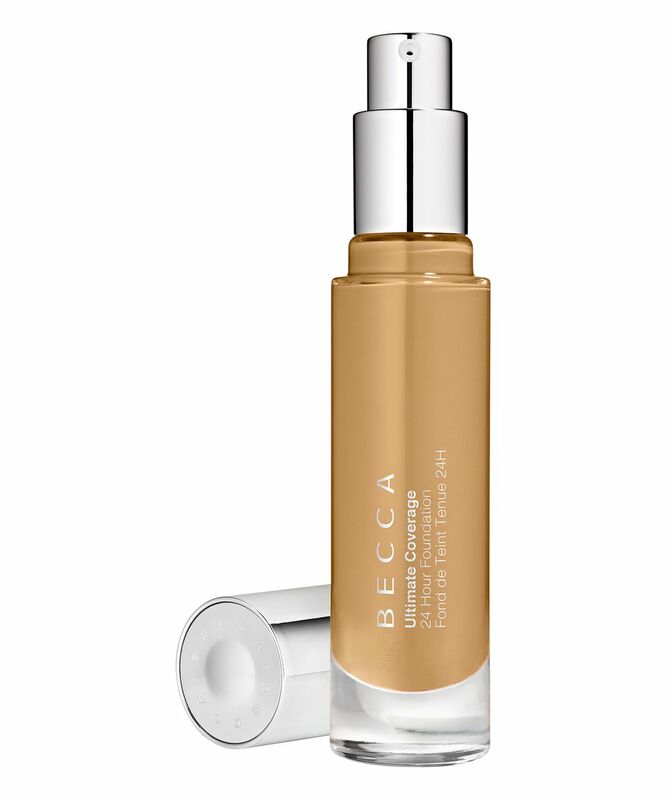 I used the Becca Ever-Matte poreless priming perfector primer with this foundation and they worked together like a dream. I highly recommend this foundation for anyone who has large pores and oily skin. Amazing! I brought the shade "Buff" when I got matched in store, once I got home and tested fully with their primer It went on yellow. Seriously I looked like a member of the Simpsons... but blended out it looks amazing. The colour fits perfect! The coverage is amazing too! I don't think using a brush would do this foundation any justice as it dries really quick. Really happy with my purchase! It makes my skin look flawless..and for someone who has spot prone skin! This is the best full coverage foundation I've ever tried. It doesn't exaggerate my pores or textured skin but covers my acne. Yet it looks so natural. And unlike other foundations I've tried, it lasted all day on me. Will definitely repurchase. Love this foundation! Perfect colour, but not for the summer. (Too light). I have the shade Linen and for summer I use the colour Shell (the ordinary foundation I have in 1.0N and 1.2N) It stays on my face all night. It goes on great but doesn't have a lot of staying power. I find that slides off my nose and separates on my cheeks. It's definitely not a foundation that can be worn on its own (e.g Fenty Pro Filter) and even after setting it with powder, it doesn't seem to last that long. Disappointing considering its price.